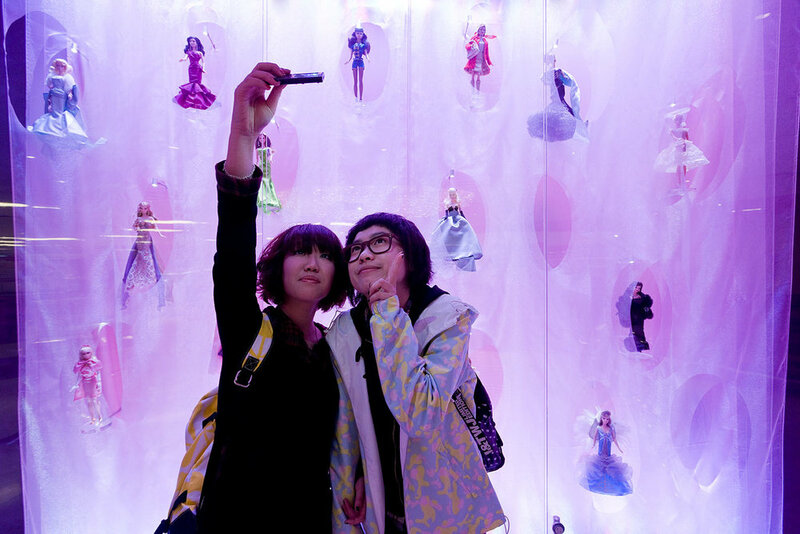 The 35,000 square foot store is the first ever Barbie Flagship. Mattel wanted a store where “Barbie is hero,” expressing Barbie as a global lifestyle brand by building on the brand’s historical link to fashion. Barbie Shanghai is the first realized expression of this vision. Slade Architecture led the design of this project, including the exterior, interior, fixtures, and furnishings. Slade’s design is a sleek, fun, unapologetically feminine interpretation of Barbie: past, present, and future. The new façade combines references from product packaging, decorative arts, fashion and architectural iconography to create a modern identity for the store, expressing Barbie’s cutting-edge fashion sense and history. 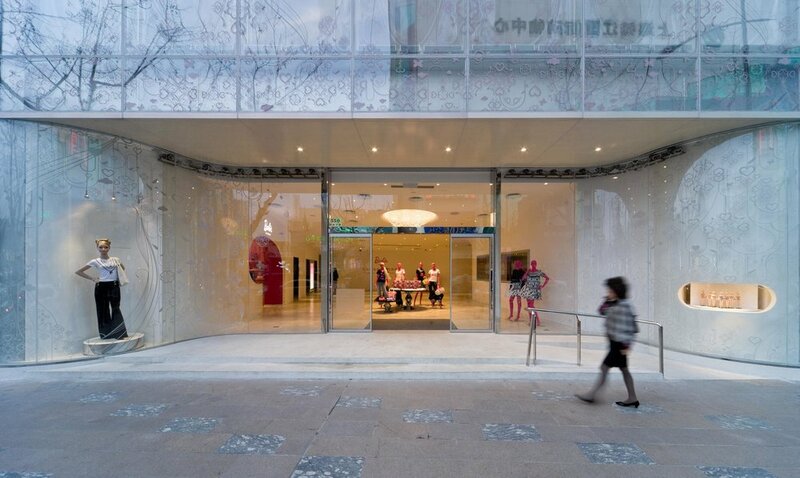 The façade is made of two layers: molded, translucent polycarbonate interior panels (analogous to the blister packaging the dolls are packaged in) and flat exterior glass panels printed with a whimsical lattice frit pattern. The two layers reinforce each other visually and interact dynamically through reflection, shadow and distortion. 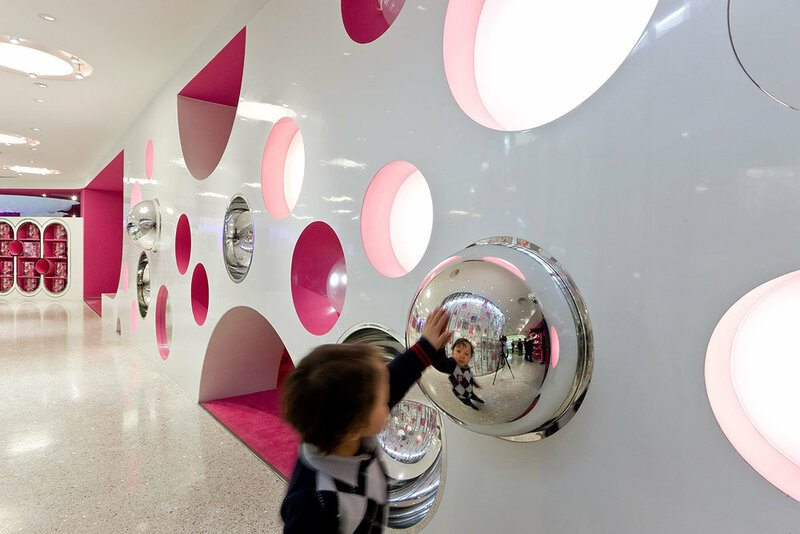 Visitors are enveloped by the curvaceous, pearlescent surfaces of the lobby, leading to a pink escalator tube that takes them from the bustle of the street, to the double-height main floor. 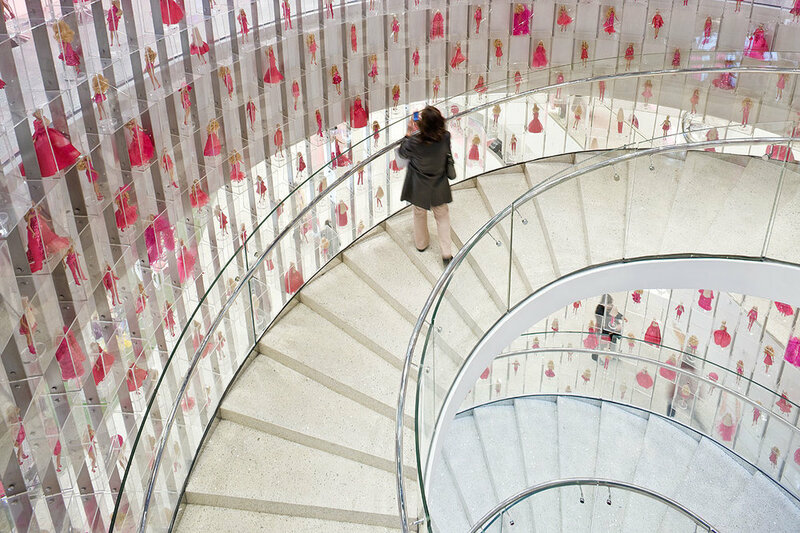 A three-story spiral staircase enclosed by eight hundred Barbie dolls is the store’s core; everything literally revolves around Barbie. 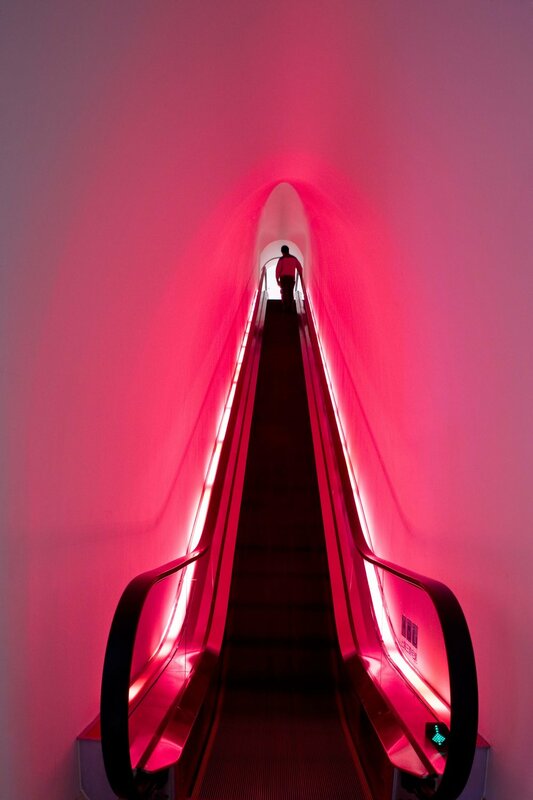 The staircase links the three retail floors: The women’s floor (women’s fashion, couture, cosmetics and accessories), the doll floor (dolls, designer doll gallery, doll accessories, books), and the girl’s floor (girls fashion, shoes and accessories). Throughout the retail areas, Slade played with the scale differences between dolls, girls and women. They reinforced the feeling of youth and the possibilities of an unapologetically girlish outlook (regardless of age) by mixing reality and fantasy and keeping play and fun at the forefront - to create a space where optimism and possibility reign supreme as expressions of core Barbie attributes.